Make Steve's Service your first call when you have a plumbing emergency in San Bernardino County. We're standing by 24 hours a day, 7 days a week to help with major leaks, water main breaks, sewage backups, water heater problems, and more. Since 1986, we've helped thousands of residential and commercial clients resolve their plumbing problems quickly, reliably, and cost effectively. As soon as you start to see your tub, sink, or toilet overflowing or backing up, it's time to call a plumber. 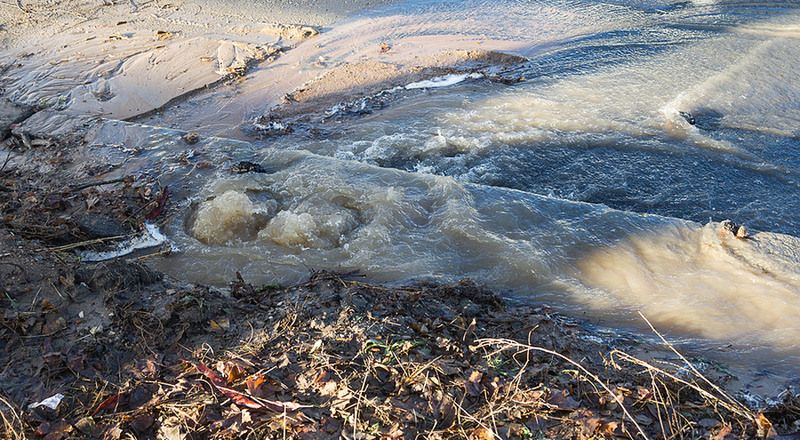 Having sewage come up your drains is a strong indication that your main sewer line has become obstructed, either by tree roots or a foreign object. In the case of a clogged sewer line, Steve's Service can be out to any residence or business in San Bernardino County in less than an hour to inspect the line, and clear or replace the pipe--24 hours a day. Not only will we respond quickly, but we'll also complete the necessary repairs at the time of service -- whether it is midnight or 3am. To ensure we have everything we need to get the job done, we've cultivated strong relationships with local suppliers and maintain our own large inventory of parts and equipment, including sewer cameras to inspect the problem and assess the damage; backhoes to dig out the pipe; generators to run large construction lights at night; and more. We offer trenchless pipe bursting and relining/rehabilitation as well as traditional sewer line replacement. If you suddenly have a geyser or small pool forming outside of your building or water forcibly pumping out of a flexible connector or pipe inside your home, then you likely have a broken water line. When this happens it is imperative that you get the water turned off as soon as possible to minimize water damage. At Steve's Service, we have technicians on call 24 hours a day who can respond immediately to emergency plumbing requests anywhere in the San Bernardino County area. We'll bring everything we need to stop the leak and fix the broken pipe. Click here to read more about our emergency response service for flooding and water damage. If you suspect that gas is leaking from a pipe inside or around the perimeter of your home or business, take note of any hissing sounds or odors, stop using any appliances, and refrain from turning on or off any lights. If the odor is strong, evacuate the area. Then, give us a call. We have on-call technicians in the area who can respond quickly any time of day or night. The technician will stop the gas leak, locate its source, and make the necessary repairs. To shut off your gas line, you can also call your local gas company or fire department; however, you'll still need to call a plumber to perform any gas line repairs or pipe replacements. With Steve's Service, one call does it all -- quickly and affordably. For major water leaks, Steve's Service is here to help. An on-call technician can be on site in less than an hour, 24 hours a day, to stop the leak, whether it is coming from a shower, tub, sink, washing machine, or water heater. Call now for a prompt response, quality work, and a fair price. If you have small kids or run a restaurant, then we know that a broken water heater is a major issue for you. Whether your water heater has cracked, you suspect that it is leaking gas, or you have no hot water, we are prepared to come out to your property when you need us to fix the problem. We have the expertise and tools to complete water heater repairs on the first visit or we can work with one of our suppliers to quickly obtain a replacement water heater. Award Winning Plumbing Services. Competitive Prices. 1,000s of Satisfied Clients. When it comes to dealing with any of these plumbing emergencies, you want to trust that you are working with someone who is not only competent, but also trustworthy. At Steve's Service, we always have our customers' best interests in mind and have the impeccable reputation to prove it. We've been voted "Best Plumbing Company" by readers of the Daily Bulletin four years in a row; maintained an A+ rating with the Better Business Bureau; and earned Angie's List's Super Service Award. Call now for immediate assistance from San Bernardino's plumbing experts.